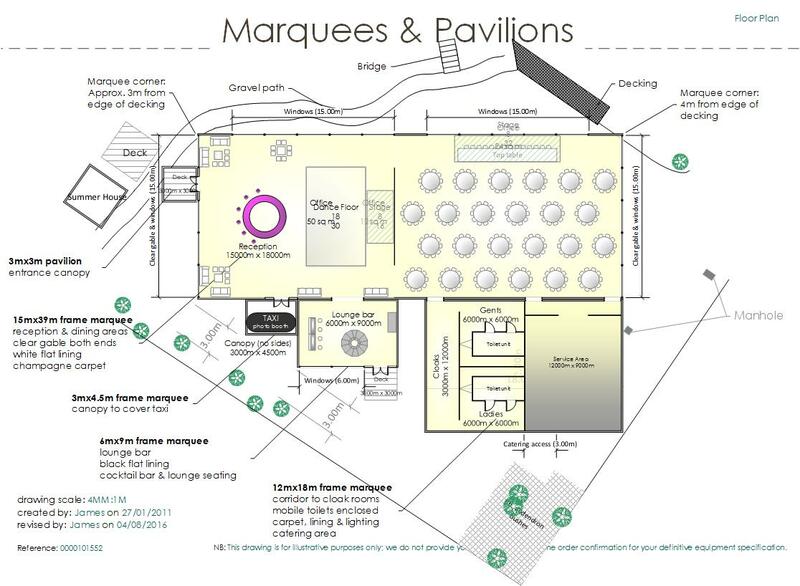 Wedding for 220-240 guests which required marquees for reception/bar area, dining, Taxi photo booth, Cigar lounge, built-in loos and kitchen area for the caterers. The client wanted a clean, contemporary style for the wedding. The site was the rear lawn of a private property. 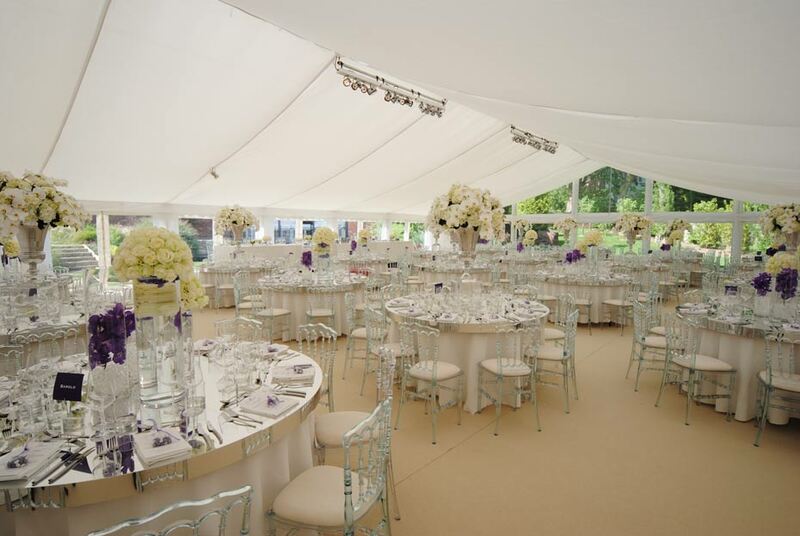 We designed the main marquee to be internally partitioned into two separate spaces for the bar/dancing and dining areas. Two lining wall panels were removed, either side of the stage, so that the dining room was revealed after reception drinks. We used separate structures to create space for the taxi photo booth, cigar lounge and loos/catering areas. The main marquee was finished with a flat white lining for a crisp, modern feel whilst the cigar lounge has a black out lining for a contrasting style. 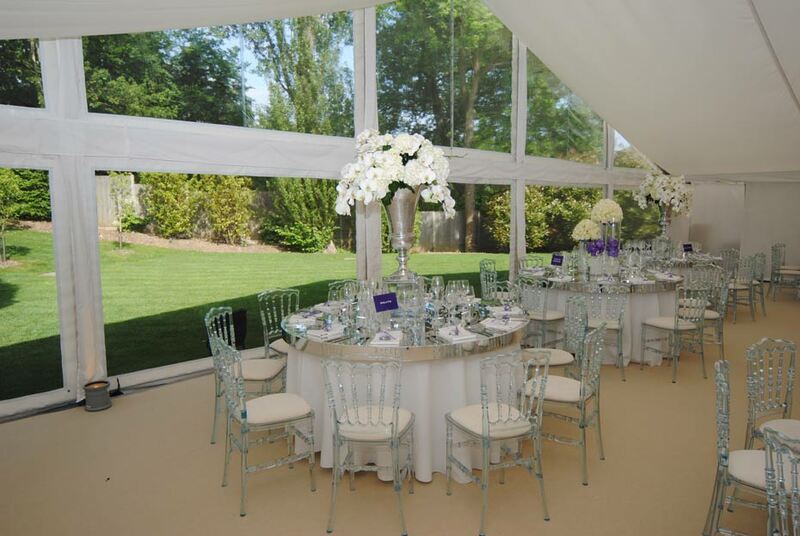 The wedding planner arranged clear acrylic chairs, mirrored table tops and contemporary floral displays to complete the look. Use of coloured lighting, washed into the white flat lining, created a completely different atmosphere for the evening party. Given the complexity of the job, and the additional contractors on site, we started early in the week and spread the build over three days. Access to the site was difficult, so we brought in a forklift for the duration of the build. The client had a large 3-phase electrical supply installed so that a generator was not necessary. 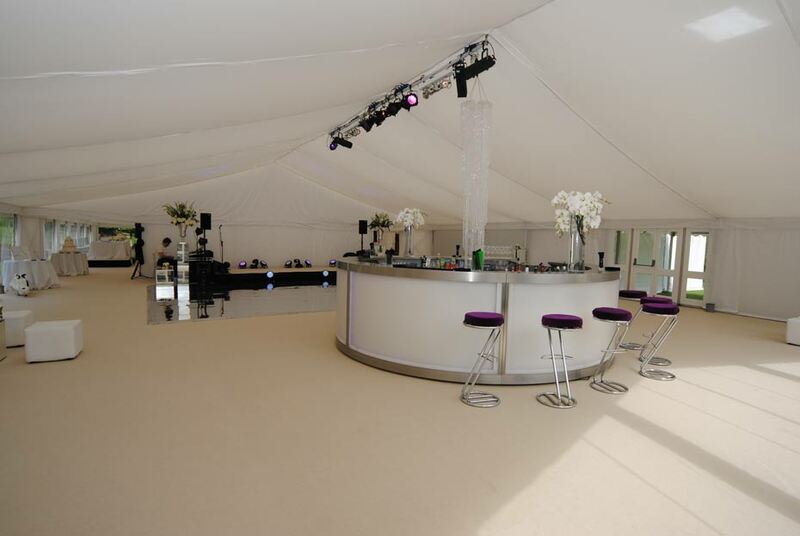 Marquees & Pavilions supplied the structures, flooring, interior lining, lighting and electrical distribution. Ginny Loisel Events were the overall event mangers and also organised the bar, dance floor, furniture, flowers and entertainment.